Engineers are known as innovators and problem-solvers. John Bailey is both of those, and much more. He was a highly successful and respected leader, manager and strategist who helped Honeywell reach new heights in the United States and abroad. Honeywell is known worldwide as a leader in diversified manufacturing and technology, and Mr. Bailey’s wide range of talents proved to be a great fit. He held a variety of leadership positions during a career that spanned more than 30 years. But John Bailey was a leader long before that. As a University of Kentucky undergraduate, he was chapter president of Triangle fraternity. He was a member of Keys sophomore men’s honorary, Lances junior men’s honorary and Lamp and Cross senior men’s honorary. He served on the Interfraternity Council and represented the College of Engineering in the Student Congress. He was a member of the student chapter of the American Institute of Electrical Engineers (AIEE) and Eta Kappa Nu, a public service organization founded in 1904 to recognize academic excellence in engineering — and more. The founders noted that “selecting students with the character and attitude that would make them probable leaders in the profession” was also vital. Mr. Bailey’s career is a testament to those principles, and he in turn places great value on the interpersonal skills developed by serving in student organizations. Mr. Bailey grew up in Louisville’s West End. As a student at Shawnee High School, he began to take a serious interest in mathematics and science. He made his decision to study electrical engineering after coming to UK. Following his graduation in 1961 with a Bachelor of Science degree in electrical engineering, he soon moved into positions of significant responsibility. Having attended UK with partial support from a scholarship from American Air Filter, Mr. Bailey joined that company in St. Louis as a development engineer for HVAC systems used in the Minuteman Missile program. 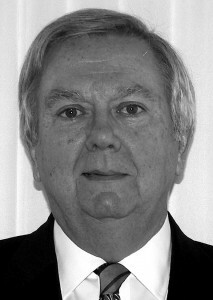 He moved to Honeywell in the fall of 1962 and worked as a development engineer for military applications. Additional responsibilities came quickly. He moved from sales engineer to product manager for flame safeguard controls in Minneapolis, and initiated a 20-year era of growth in that category. By the late 1980s, 40 percent of the products sold in the $75 million business had been specified and developed between 1966 and 1969, when Mr. Bailey was product manager. His career moved to the international arena when he was named market manager for residential controls in Europe. Based in Belgium, he worked with Honeywell affiliates across the continent. Later, as director of marketing for industrial automation in Europe, he was responsible for sales and marketing of Honeywell’s process automation controls. Under his direction, market share increased from eight percent to 35 percent. Mr. Bailey was named vice president of marketing for Honeywell Europe in 1979. His innovative strategic planning included the introduction of market segmentation and country-specific strategies, a process recognized in The Supermanagers, a 1985 book by renowned British business author Robert Heller. 12 percent profit in 1983. The dramatic improvement required decisive and difficult action, including a 24 percent reduction in personnel. As vice president and general manager of the building controls division, Mr. Bailey, based in Minneapolis, introduced cross-functional product development teams, and reduced new product times by 65 percent. The results were featured in Time-Based Competition, edited by Joseph D. Blackburn of the Vanderbilt University Owen Graduate School of Management. Mr. Bailey next served as vice president and general manager of the protection services division, a $200 million business that provided fire and security systems to homes and businesses. There was one more call to an international leadership position. In January 1992, Mr. Bailey was named vice president for Western Europe, the Middle East and Africa. He had responsibility for line management for Honeywell affiliates in 13 countries and a distribution network in seven more. Mr. Bailey served in that position until his retirement in September 1994 at age 55. Mr. Bailey has always made time for community service. The Alliance to Save Energy, Junior Achievement of the Upper Midwest, the Minnesota Chamber of Commerce, the Minnesota Better Business Bureau and the College of Charleston Tate Center for Entrepreneurship are among many organizations that have benefited from his skills and energy. Mr. Bailey and his wife, Karina, reside in Osprey, Florida.